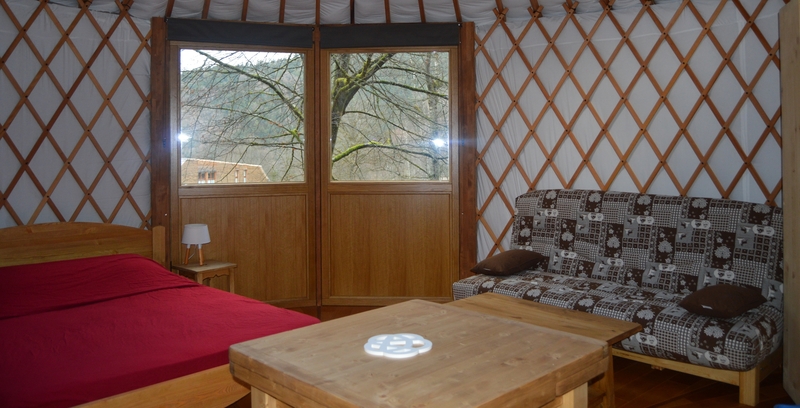 Yurt from the Vosges located in the heart of the forest. Built by a craftsman from the Vosges, this all-season yurt is only made with local woods. It’s equipped for 4/6 people, including a double bed, two bunk beds, a sofa bed, a coffee table, a dining room table, a wood-burning stove and all the equipment to cook. You will have an access to the sanitary block of the campsite for the shower and the toilets.